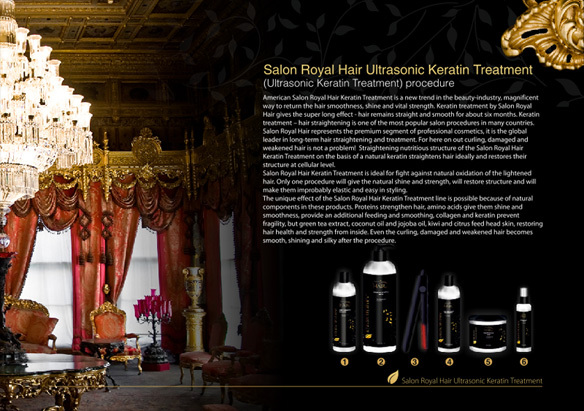 The unique effect of the Salon Royal Hair Keratin Treatment line is possible because of natural componentsin these products. Proteins strengthen hair, amino acids give them shine and smoothness, provide an additional feedingand smoothing, collagen and keratin prevent fragility, but green tea extract, coconut oil and jojoba oil, kiwi and citrus feed head skin, restoring hair health and strength frominside. Even the curling, damaged and weakened hair becomes smooth, shining and silky after the procedure. - restructuring of hair fibers, hair tip restoring. Ideal salon procedure is very important for Salon Royal Hair, but even more important is the long preservation of the result. All three products included for care after the procedure, contain a maximum of natural components. 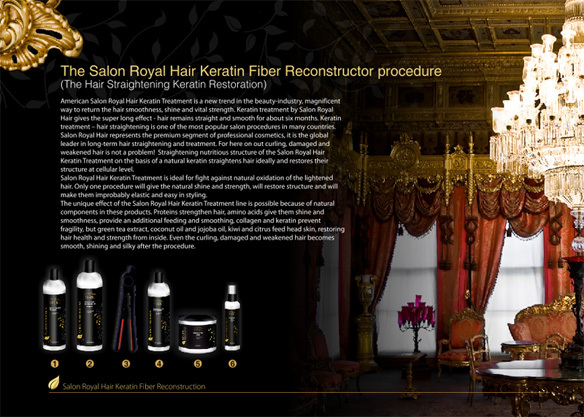 The unique effect of the Salon Royal Hair Keratin Treatment line is possible because of natural componentsin these products. Healthy and strong shinyhair without styling products and overheat. All three products included for care after the procedure. For here on out curling, damaged and weakened hair is not a problem! 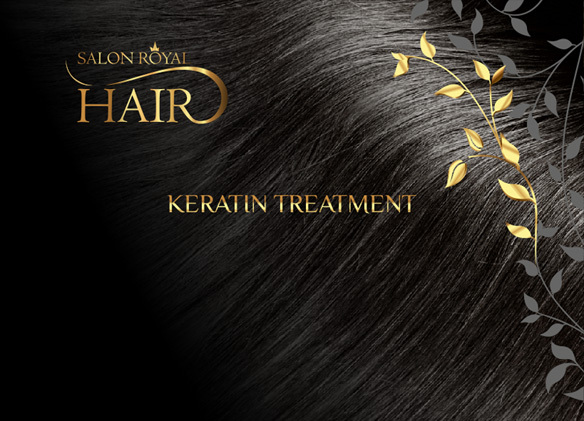 Straightening nutritious structure of the Salon Royal Hair Keratin Treatment on the basis of a natural keratin straightens hair ideally and restores their structure at cellular level. Premium quality set for home care. Ideal salon procedure is very important for Salon Royal Hair, but even more important is the long preservation of the result. All three products included for care after the procedure, contain a maximum of natural components. There are no sulfates, parabens and salts in their structure. 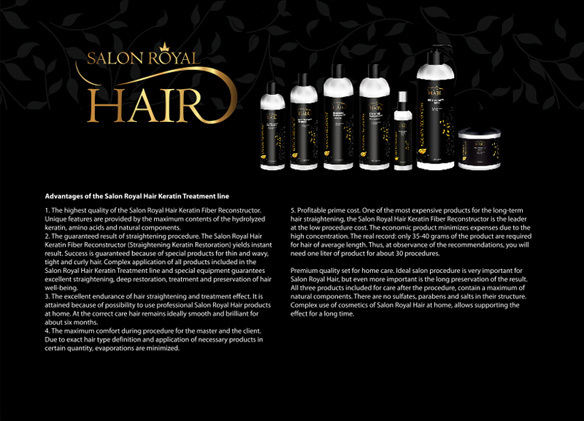 Complex use of cosmetics of Salon Royal Hair at home, allows supporting the effect for a long time.